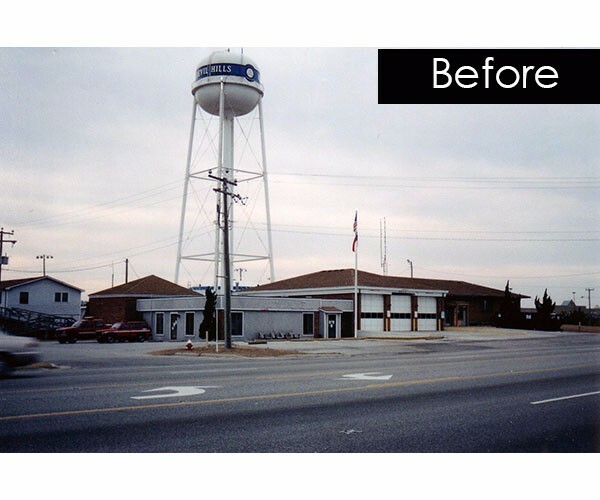 The Town of Kill Devil Hills selected DJG to renovate the Town’s Main Fire Station. Located on a heavily-traveled thoroughfare, the building was composed of various additions built over a 50-year period. The Town desired more functional living and training quarters as well as a more cohesive and attractive exterior for such a highly visible Town building. DJG gutted and renovated 3,000 sf of interior work space for new living, training and bunkroom space, including space for shared volunteer and career fire fighter facilities. 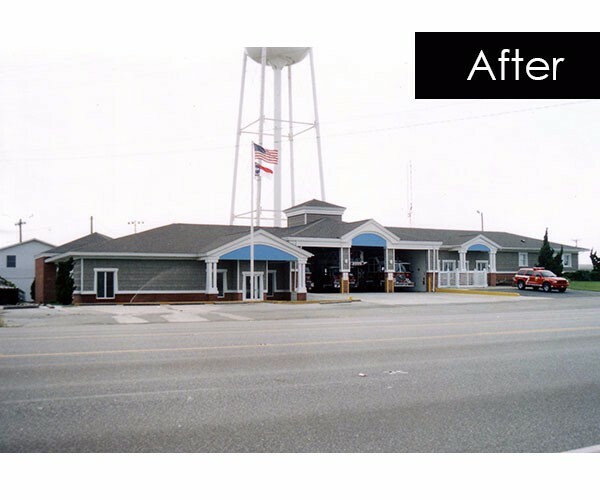 The renovation was designed to improve response time from bunkroom to apparatus, training facilities, quality of life as well as handicap accessibility. Deteriorated portions of the building were also repaired. A cohesive look was achieved through applying common exterior materials and new lighting, in a facade recalling the local Outer Banks architectural character. The facility was designed to be constructed in two phases to allow continued emergency operations during renovation. Temporary quarters were established on site.